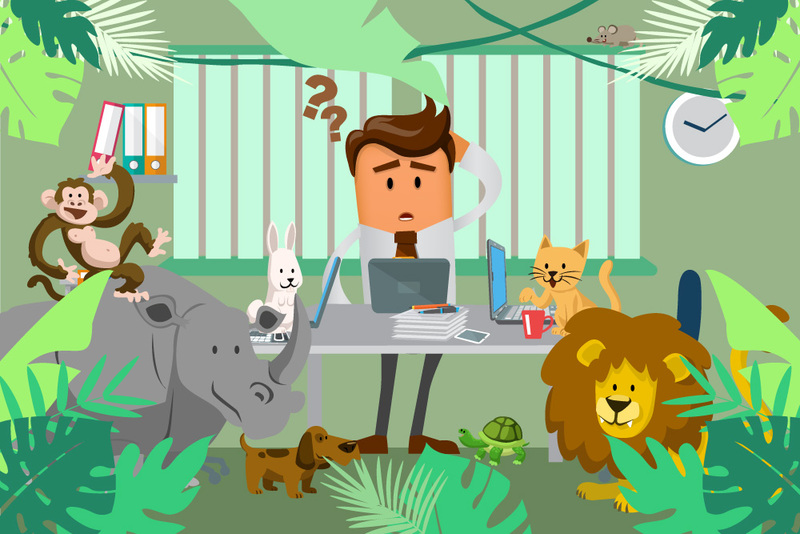 During my first few months as a businessman delving into start-ups in an office space in Cebu, a business partner introduced me to a concept that compared people to prominent animals and the workplace as the corporate jungle. His main concept was that, as a business owner, I was going to have to engage with an environment of different traits and personalities, each embodying a creature you might find in a tough jungle. It was all tongue-in-cheek though. Your teammates aren’t a bunch of animals struggling to survive the harsh conditions of a jungle or grassland. But most of us will act like one at times. As I focused my energies on building my start-up empire, these classifications of personalities left my mind — for a moment. I suddenly remembered all of these on one of those stressful days I would have when I would have to deal with a crisis that involves people management. It occurred to me suddenly that having a management style that suits each type of personality is very beneficial. At that moment, I had to find the best way to handle this situation in order to determine which kinds of people I’m dealing with and how to be able to properly communicate with them. After all, they are the people I am working with. So, below, let us look at the type of animals you will encounter in the corporate jungle. The Deer is the most common type of wildlife you’ll encounter in the corporate jungle. These animals come in a wide variety of personalities and traits; but, they have one thing in common: they do not have any plans to move away from the herd. These creatures flock together – doing their best to survive each shift from paycheck to paycheck. Because they are not so much into change, you’ll find it challenging finding people who think out-of-the-box from this lot. Their moves are very easy to predict, but they may be quick to react during uncomfortable situations. In order to preserve themselves, deers are often prone to joining the blame game and finger pointing. Deers will usually run from difficult situations – leaving unfinished projects in their trail. Chimps are members of your staff who, though often capable and smart, are prone to horseplay and doing crazy stuff in the workplace. Chimps may be a real pain to manage, but don’t be too quick to shrug them off as just total pains in the a**. Chimpanzees can bring fun and good vibes into the work environment. Although these people can be disruptive and may be hard to push, most of the time they are quite manageable. Hyenas are people you need to be mindful with. These critters are at times opportunists, or scheming and lying individuals. At times, hyenas survive by feeding on office gossip and issues to help them gain leverage. Keep an eye on them or else they may ruin your business. If arrogance is your criteria, lions are quite easy to spot. Also, their arrogance eclipses their performance. They are know-it-all bullies who prey on the weak. Because lions hate anything mediocre, lions will usually pick on the deer. But if you train them really well, lions turn into some of the best in your staff. Their confidence will definitely turn them into effective sales personnel or managers. The rhinos are staff who put their put their arms firm on the target and do anything they can to plough through and accomplish their tasks. They are very dependable. However, they are an endangered species. If you are running a start-up, you’ll be lucky to have one on your team. Your role as a manager is to take care of them and keep them from being captured by hunters — your competitors.